Ashley Falcon serves Continuant and its largest customer as a Global Service Delivery Lead, a role that she earned through her ability to stay calm and strategize under pressure and to leverage resources to quickly resolve incidents. As a Service Delivery Lead, Ashley seeks to fulfill customer requests quickly and resourcefully, performing incident escalation when needed. Ashley originally joined Continuant in 2014 and was promoted to Named Account Manager (NAM) in 2015. In her NAM role, Ashley was responsible for handling, maintaining, and supporting customer accounts and service needs. 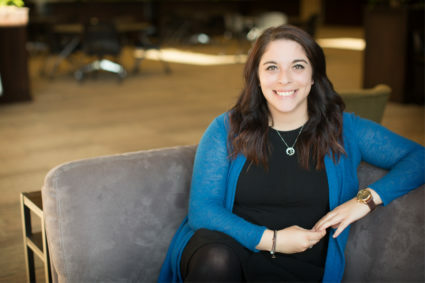 “I offer a strong solutions-focused customer relationship,” Ashley says, “and am committed to providing the best service experience to all of my customers.” Toward that end, she works hard to educate herself on new technologies as well as business in general. Prior to working at Continuant, Ashley spent two years teaching at Meeker Elementary School in Puyallup, WA. While teaching, she learned organizational tools, communication skills, and the ability to lead that drive her approach to her work today. Born in Fresno, California, Ashley became a Pacific Northwest “transplant” at a young age. She attended Green River College after graduating from Puyallup High School. She currently resides in Puyallup, Washington, with her son.